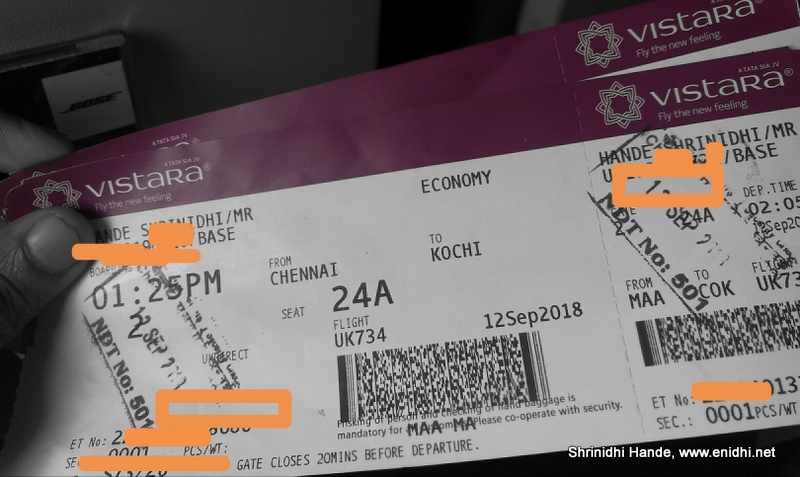 Home / tips / Why its not a good idea to post your boarding pass on social media? Why its not a good idea to post your boarding pass on social media? Many of us have a habit of posting our boarding pass photo online- particularly facebook, while we are about to begin a trip. Seems like a harmless move- what can one do with photo of a boarding pass? Well, in wrong hands or by someone with wrong intentions, a lot of things can go wrong. Read on to find out more. Boarding pass has PNR (Passenger Name Record), eTicket number, your first/last name etc. These information, if not blurred before posting online, can be misused by strangers. Why revealing PNR is dangerous? What can go wrong? What all can one do with your PNR information? Further if they know your date of birth also, then they can call airline call centre and might be able to do more mischief. If someone is stalking you based on info they could access from your boarding pass pic, you won't even realize they are doing so, or may not be able to link it to you sharing your boarding pass photo. Why airlines have kept it so unsecure then? You may be wondering why airlines are not securing the way one access their tickets online. But here's the thing- The ticket details were supposed to be personal to you and you're not supposed to be sharing it with strangers. Thus airline website's booking management system assumes only you will know your PNR and others don't. They haven't anticipated the scenario that passengers will be posting their boarding pass on facebook and someone may abuse the system.Current system as is simple and safe, if you keep your PNR/eTicket info to yourself. Further there's no financial risk and the cases of abuse are almost nil- no one has time, interest or motive to access your ticket details and do something bad. But then, the potential exists- there are many who may be stalking you on facebook or might be looking for more information about you or looking to cause you some trouble. So what precautions to take? If you still wish to share, blurr or mask the portions revealing PNR, eTicket Number and Frequent flyer number. Or click from a distance or use aperture mode so that no one can zoom in and read all finer details. There're no known incidents of someone being harmed because they posted their boarding pass online- but then the potential exists. So it is better to be careful than sorry. A great piece of info buddy. Sharing it on my page right away. Should be helpful to travellers who don't blink an eye before sharing their life on social media.